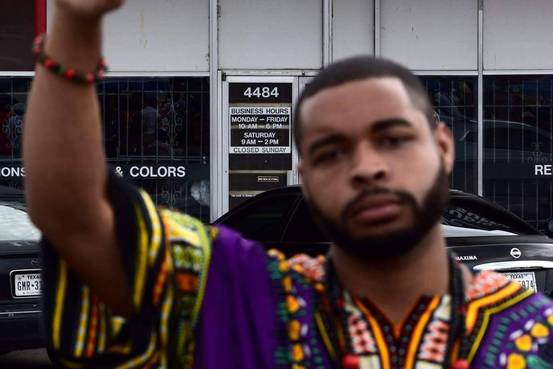 Black Men, What do you really think about Micah X. Johnson? Who is the enemy of your enemy? While Racist White Cops Murder and Massively Incarcerate Black Men thanks to President Clinton's Crime Bill, cowardly Black Politician do nothing but give speeches. No Executive Orders from President Obama or Proposed Legislation by Congressional Black Caucus Members to address the systemic murder, oppression and suppression of Black African Americans. Black Lives Matters founders are under surveillance by FBI / NSA / HLS for just wanting to implement a failed 1960s era strategy of marching and protesting. 1. The Quiet Resolution (TQR, Inc.) http://www.tqrinc.com offers a Comprehensive National Black Empowerment Plan. 2. Reparations for the Descendants of Enslaved Black Africans and Black African Americans. http://www.mymoneybudget.com - eBook: Reparations Now! For Black African Americans And Here’s What We Want explains what we want in Reparations and what we plan to do with it. If America want peace, then it must be prepared to administer Justice For All. 3. President could, if he had the moral courage and cared about Black African Americans, sign an Executive Order, requiring the US Justice Department to investigate the shooting of Black African Americans by White Cops and require all Sheriff and Police Departments report all stops and arrest data to the DOJ that can be posted on the Internet in realtime, in order to receive federal funding. Black Folks who don't know better, keep marching and begging racists to stop killing, oppression and incarcerating us. Some Black African Americans are becoming lone wolves. This new generations of Black Men are not afraid to respond to oppression and violence with the same. It is clear after two terms in office, that President Obama only has speeches for Black African Americans. I stop listening after his infamous "Beer Summit" which sent a signal to White Racist Cops that it was "Open Season" on Black Folks and the President would not protect and defend us. He is a true Wolf in Sheep's Clothing! Just another Black or Bi-Racial Face in a High Place who has done nothing to address our oppression. No one wants to engage in violence, but even an animal incarcerated/ caged, no food/ unemployed and beaten/ stopped and frisked, will get tired of such treatment and will fight back or take the offense. So, I pose this question again to Black African American Men! Who is the enemy of your enemy? Fortunately, for African Americans, you can live in Liberia I have read. They welcome you. Among our issues is how america is preparing black students for prison rather than social mobility; offering schools that warehouse rather than educate. Yes racism is alive and well in this era of the "post racial society". New Afrikans can amass COLLECTIVE POWER and not mimic white folks who acquire and abuse power. As a community, we must do everything We can to ensure justice is served. We can't do it alone. Stand in solidarity with our fellow activists, hand in hand with your community/family. Contact your elected officials to demand life-saving reforms to the broken judicial system. US Attorney General Loretta Lynch speaks at the US Justice Department in Washington, DC, on July 8, 2016. Lynch addressed the shootings in Dallas, Minnesota and Louisiana. 'This has been a week of profound grief and heartbreaking loss,' Lynch said. She said, 'to all americans, I ask you, I implore you, do not let this week precipitate a new normal in this country.' My request to u.s. AG Lynch would be to tell that same thing to the police who make a habit of retaliating against Black People with harder harassment, deeper abuse of authority and more lethal force against us.